Hiking with poles is one of those things that you either love or hate. A lot of people swear by them and rave about the benefits of walking with poles, while others say that they just get in your way and are not practical. I belong to the group of people who thinks they are fantastic although not 100% necessary. 1. To use One or Two Hiking Poles? 1. How high should they be? I could definitely go out on a hike without them, but I’d prefer having them with me. Hiking poles make me feel safer and more comfortable. So I had to share the top 5 reasons why I think they are a great tool and tips on how to pick the right ones for you as well as how to use them to get the best results. We all know that having a steady, uniform pace is essential when hiking. It allows you to cover more terrain in less time and without suffering. Since trekking poles give you two more support points, it’s easier to get into a rhythm that works perfectly for the distance and terrain that you are hiking. Since you can pull yourself up with the poles on your way up and lean on them when walking downhill, your knees and muscles get less impact. Hiking poles also help you to keep your balance, especially on uneven terrain, reducing the risk of stumbling and possibly fall and hurt yourself. They’re also very useful when hiking on slippery terrain and give you more grip. Going uphill can be really stressful on your legs. Even if you’re remarkably fit, you can benefit from the boost that using trekking poles gives you. Distributing the workload between your legs and arms will allow you to stay fresher for longer, making the uphill treks easier and more enjoyable. It is no secret that long descents can make your knees hurt. Some might even feel the impact on their ankles. Most of the times, a couple days of rest are enough for your knees and legs to recover, but in some cases, the effort over time can result in an injury. Since poles deviate some of that impact, you’ll feel the effects of a descent a lot less. We have all found a part of the trek where there are tons of sketchy rocks that you don’t know if they will hold your weight, or sections where you have to check if that bit of dead leaves isn’t covering a hole. Having an extension of your body to test the terrain is a big advantage. There are no rules for this. For me, it depends on how much support I want and how long the hike is going to be. For example, if I’m going to walk on easy terrain, I will take one just for support. The same is true if the hike is less than two hours long but uphill. However, if I am planning to hike on an uphill terrain that will take many hours, and I know I could do with a little help getting to the top, I’ll definitely pull out two. First of all, let’s forget about the cheap kind of poles that don’t allow you to adjust them. 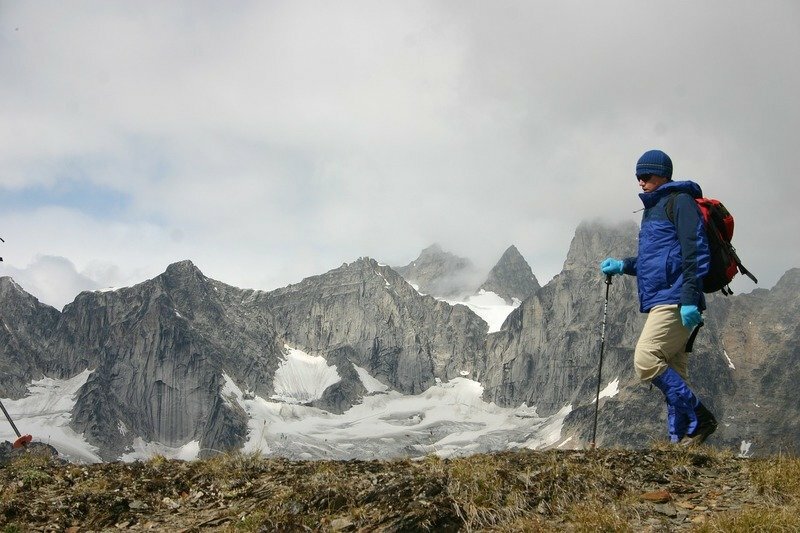 Telescoping trekking poles are comfortable when you hike and when you don’t need them anymore. They work with twist locks, are easy to use, and it’s swift to adjust them on the go. The most popular models among telescoping poles are the ones with only two sections. But they aren’t as portable as the three section ones. Then there are the collapsible poles. These are also easy to use: you simply extend them and lock the sections into place. They are made to take almost no space, but personally, I don’t like having all of those parts sticking around when they are collapsed. More than once, I was close to wrecking them because they got tangled as I needed to get them ready. Bonus tip: Get the ones that are shock absorbing if you get the chance. I am a big fan of aluminium! Sure, carbon is lighter, newer, and cooler but it’s also costly and not as durable. On the other hand, aluminum is way sturdier, and you won’t have to save for them. Aluminum hiking sticks are affordable and work perfectly. Yeah, they are a bit heavier, but that bit of extra weight is 100% worth it for me. It really depends on what your priorities are. On ascents, it is best to adjust them to elbow height so that when you’re holding them your arm is parallel to the ground. When you combine that with the right movement (see number 2), it makes your whole hike a lot better. During descents, it is best to stretch them out so that they are a little over your elbow or hip. This will give you more stability and will reduce the impact on your knees. If you keep the same length you used during ascent, the hiking poles won’t be as effective. Also, keep in mind when you are adjusting your poles that whatever the length you choose it should always allow you a comfortable grip. A lot of people complain that after they have gone hiking with poles, their arms hurt like crazy and that the poles did almost nothing for them. The reason is likely because they weren’t using them correctly. Most people tend to use them really long, placing the sticks in front of them and pulling with force to help themselves go up. That puts a lot of stress on the arms and on the back, and the movements can quickly let you lose your gravity center. First, you have to coordinate your steps with the movement of your arms. This means that when you push up with your right leg, the left pole should be on the ground supporting you and so on. Second, when you move the pole to the front never put it further than the distance that your opposite knee is. Third, the poles aren’t meant for you to pull up on them; instead, they are made for propelling you. So basically you should push back not pull. 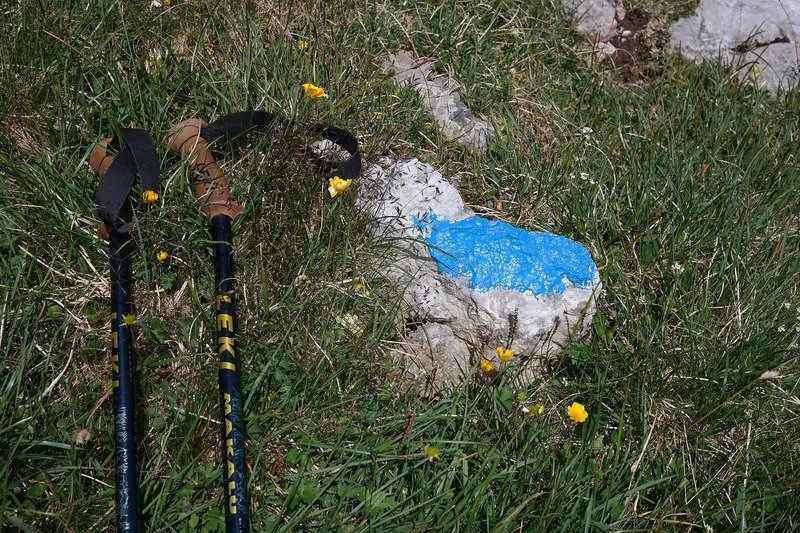 Trust me, by being mindful of these three aspects you will have a better experience of hiking with poles. It made a lot of difference for me. 1. Black Diamond Distance Z Trekking Poles – These are the collapsible kind I mentioned. They have a durable central cord and can be deployed with just one pull. They also come with moisture-wicking, breathable EVA grips. And they are constructed from aluminium. 2. High Trek Premium Ultralight Trekking Poles – These are made with aerospace-grade 7075 aluminium, that is lighter and more durable than standard aluminium. They are the telescoping type with a wide range of lengths to choose from. These ones come with different tips for different terrains. @Juan - I use them on almost every hike for that reason - especially after two knee surgeries.